During my recent four month hiatus, I, no, WE lost a friend, mentor, neighbor and a true curator of all things Duquesne and Mifflin Township. comments = Enjoy the blog and brings back many early memories of my growing up in Duquesne. Presently I am the founder and president of the Mifflin Township Historical Society. We currently have all the Duquesne, Clairton, Cloverleaf Bulletins and working on finishing the Homestead newspapers at our reference room in the West Mifflin Borough building. If you should need any information, pictures, etc. please feel free to contact me. Jim and I became fast friends during the months that followed, corresponding by email and exchanging photos, stories and information. In April of 2011, I made a trip to Duquesne to visit family and to finally meet Jim and explore his memories and his “baby,” The Mifflin Township Historical Society. Our first meeting took place at the McDonalds on Lebanon Church Rd. near the Century III Mall. We sat drinking our “senior citizen” cups of coffee and prattled on for hours about my blog, the connections he and I shared, the Historical Society, and our childhoods until Jim finally decided it was time to visit the Society office. As the day progressed, I did find out that Jim was very familiar with my own family, having been our mailman for a number of years on Thomas Street and working at Duquesne’s Post Office! I followed Jim to the West Mifflin Borough building which is now located on the corner of Lebanon Church Road and Camp Hollow Rd. When Jim opened the door to the Historical Society’s office, I stood there in awe, surveying the enormous amount of materials that had been collected and constituted the Society’s data base. Historical maps, newspapers, yearbooks, magazines, government documents and banks of computers, printers and scanners lined every shelf and desktop in the office. What Jim and the society’s volunteers had been able to collect was truly overwhelming. Jim was always ready and willing to share information about the area. It was during that visit in July that I was given what I consider the “keys to the kingdom.” Prior to my departure, Jim shared the data base for past issues of The Duquesne Times, The Duquesne Star and The Observer as well as a library of archival photographs. I will always be grateful to Jim for providing such an incredible information source for The Duquesne Hunky. Thank you Jim, you’ll be remembered forever! In final tribute, I am posting Jim’s birth announcement from the October 12, 1945 issue of The Duquesne Times. That announcement was the start of something big!! The birth announce is followed by a post that I posted in July of 2011 referencing much deserved recognition that Jim had received. the IN West Mifflin Community Magazine that paid homage to someone who has been both a friend and an advisor. Jim Hartman, President of the Mifflin Township Historical Society, received some much deserved praise with a full-page spread about his activities and that of the Historical Society. The work that not only Jim, but the dozens of volunteers do is something for which we all should be very grateful for. 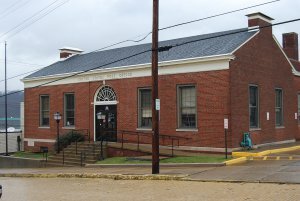 If you haven’t had the opportunity to visit the Historical Society’s webpage, I have included a link below. I have also included a link so that you can view the entire “IN West Mifflin” Magazine. Congratulations Jim, you certainly deserve the high praise! The Mifﬂin Township Historical Society’s goal is to document, chronicle and preserve artifacts and sites of the historical significance from the original Mifflin Township of 1788. What was Mifﬂin Township is today Baldwin (part), Clairton, Duquesne, Dravosburg, Hays, Homestead, Jefferson Hills, Lincoln Place, Munhall, Pleasant Hills, West Elizabeth, West Homestead, West Mifﬂin and Whitaker. While the website, http://www.mifflintownship.org, is still a work-in-progress, because the content is updated by volunteers, it is beginning to take shape as an excellent historic resource for the Monongahela communities it represents, the group also maintains a reference room in Suite 202 of the municipal building which contains various newsletters and other printed information, old yearbooks, historical maps, family photos and histories, and CDs of old newspapers from Clairton, Duquesne, Homestead and other communities. Donations of documents and other historical items also are welcome (in original or copy form). The Mifflin Township Historical Society is run entirely by volunteers and its office and reference room is only open on Fridays from 10 a.m. to 4 p.m. The office is located at 3000 Lebanon Church Road, Suite 202, West Mifﬂin, PA 15122. Other hours are available by appointment which can be made by contacting President Jim Hartman at 412.600.0229 or at ihartman15122@gmail.com. To say that Jim Hartman has been keeping busy since he retired over a decade ago is an understatement. The 65-year-old formal postal worker has always kept a busy schedule. When his daughters were younger, he coached their softball teams and was president of the band boosters. Hartman taught himself how to design and update websites using various software programs and now responsible for maintaining several dozen for local non-proﬁt groups and businesses, including the site for the Mifﬂin Township Historical Society. “I’ve always like history, even when I was back in grade school,” Hartman said. “lt’s the story of what we are and why we are.” When his father died in 1996, Hartman said he started researching that side of his family’s genealogy and initially had a difficult time ﬁnding any information. A mixed religion marriage in his family history alienated other members of the family and ties were broken. Today, he’s the keeper of a family tree with over 5,000 names. Every time there’s a birth, marriage or death, his extended family calls him so that he can add the information to the database and expand the tree, and how relatives use the tree to explain their own roots to others. From that point, his interest in history kept growing. Shortly before retirement he started the Mifﬂin Township Historical Society and approached the Homestead Historical Society into a merger. When he’s not building websites or gathering information for the historical society, Hartman can be found volunteering his time with the West Mifﬂin Lions Club. The Lions Club is an International public service organization probably best known for recycling used eyeglasses and paying for other vision services for the visually-impaired in the community. In addition to the vision services, the 53-member West Mifﬂin chapter has helped the local food banks, purchased emergency services equipment for local EMS providers, and holds fundraisers throughout the year for different causes. 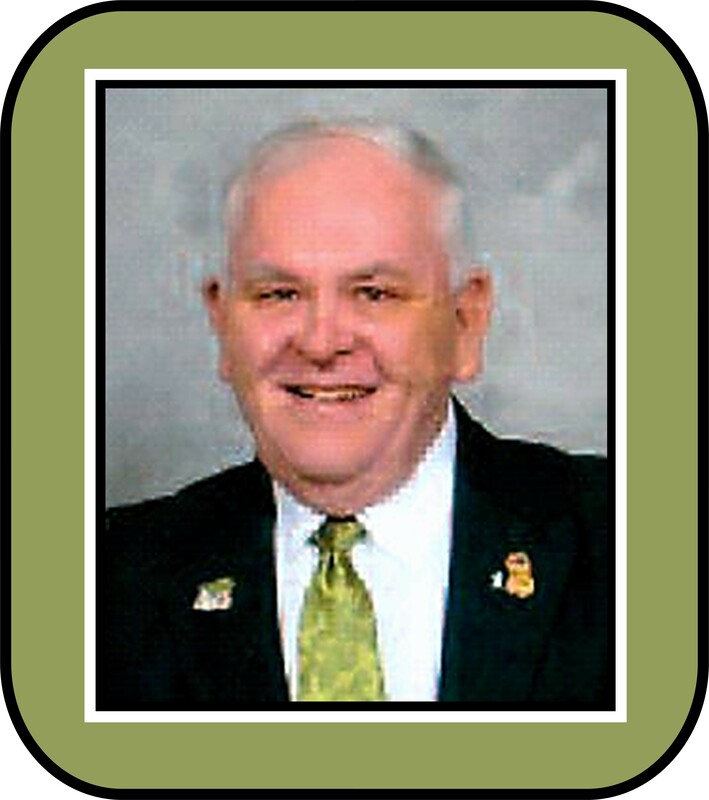 Hartman now serves as the district governor for several years and he traveled all over the state of Pennsylvania. He will finish the year as the immediate past district governor but said he plans to stay very active in the organization even though plans to stay very active in the organization in the years to come. “I don’t plan on being a Lion in name only,” he said. Sorry, I am a little behind — I have been traveling out of the country. James Hartman was in my brother, Pat’s class all through Holy Name. I remember Jim and his family. So sorry to hear of his passing. You have my sincere sympathy on the passing of your friend,I met Jim one time when I attended one of the historical society meetings, he was very knowledgeable of the areas you mentioned. PS I do metal detecting, would it be alright if I could contact you on where abouts of former sites? I am so happy to see a tribute to Jim Hartman. He served many years as a Lion and has the distinction of serving as District Governor three times. As one of the quotes above indicated, He was never just a Lion in name.” He worked tirelessly at the club and district level. He pushed all clubs to use technology to help better serve their communities and reach out for new members. He will be sorely missed as a Lion. Thanks so much for posting this! I had no idea Jim passed away! I was asking around to find out what was up with Jim Hartman, but I wasn’t getting any responses. So sad to hear this news, but I am so grateful for his friendship and willingness to share his knowledge and expertise about Mifflin Township. He was such an asset to my personal genealogy research and study of historic Duquesne. I will miss him immensely. Great writing and great job on this post Jim. I was thrilled to read that Jim Hartman had brought together the city of Homestead into his Mifflin Township Historical Society. I have been trying to track down information on my mother’s parents who lived in Homestead and this may turn out to be a great resource for me. Next time I am in the Burgh I will make an appointment with them to check out their resources. He sounds like he was a great guy. Keep on writing Jim. You touch a lot of lives. So sad to lose the conversation and so glad that he is now home with God. You were blessed to have Jim Hartman as your friend. This region has lost an earthly saint, and heaven has gained an angel. As always your blog brings back great memories of Duquesne. At first, I was taken aback by the birth announcements. It seems my cousin Regis Snyder (Aunt Ada and Uncle Rege) was born the same day!